Before the cooler fall and winter months arrive, plan an outdoor field trip your students won’t forget. There are opportunities to learn about nature, history, and the community in which you live firsthand. 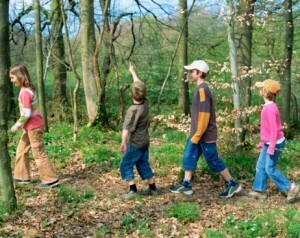 Nature Walk If you live near a national or state park take advantage of the park ranger led activities at these locations. You may want to plan ahead according to Mother Nature’s schedule. Visit the park during the bird and butterfly migrations, fish runs, or to observe other predictable seasonal changes. Later, in the spring take another nature walk to document how the park has changed. Farms Students can visit a farm to learn about farm animals and see how a farm works. There may be hands-on opportunities to feed the animals, groom the animals, milk a cow or goat, or pick fruit from an orchard. If you live near a fish hatchery, observing how biologists breed young fish to release back into the wild would also be a fun opportunity to learn about life cycles and supporting healthy habitats. Zoos Most zoo exhibits are outside in park-like settings. And unlike with a nature walk, students are guaranteed to see animals. 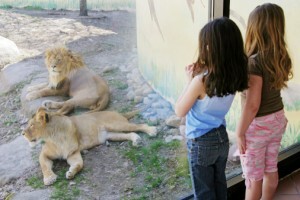 Ask about educational programs that the zoo regularly offers. You might be able to take advantage of a ready-made field trip. Living History Perhaps you live near a historic monument, an old battlefield, fort, or other historic site. These locations often have living history reenactments. You may be able to see demonstrations of Frontier life, such as how people in the 18th and 19th century made soap, candles, yarn, or cheese. Some historic sites also give guided tours you and your students can take advantage of. Explore the Community Take a walk around the neighborhood, noting all the shops, parks, schools, houses, restaurants, and government buildings that make up a community. These activities will help you learn more about the neighborhood and create a sense of community in your classroom. Perhaps there is time to stop in the local grocery store or bank for an extended field trip experience.